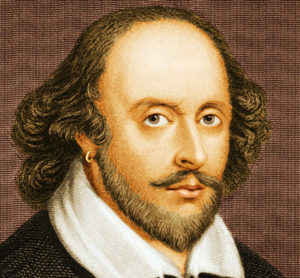 William Shakespeare was born on April 23, 1564 in Stratford Upon Avon. He married at the age of 18 with a woman of 26 years: Anne Hathaway and three children: Susanne, Hamnet and Judith. He arrived in London at the age of 22 to improve his financial situation. Queen Elizabeth I adores the theatre and she had her own troupe whose Lord Chambellan’s men was responsible. Despite this, he is not very rich because he had to send money to his family. So he decided to live in London on a roommate with a Montjoy family, a French family. 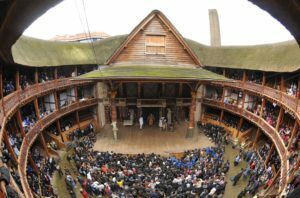 The years go by, his success grows, the finances are fixed and he builds his own Theatre: The Globe Theatre next to the Thames. This theatre welcomes nearly 3000 spectators a day, an incredible success! His first inspiration is undoubtedly his life! The pub: by creating amoeba people. The people: by putting in their pieces acts of bravery of ordinary people. His roommate: by putting French accents in one of his pieces. Roman history: with the story of Alexander and Cleopatra ..
Professional side, different characters and constraints of his time had inspired. The queen, this strong character, with power but who censors theatre texts because we must not tell bad things about her. In addition, at the time, each theatre company had to receive permission to play! The church also influenced the life of Shakespeare. Indeed, at the time, it is forbidden to do shows on Sundays. The coins must be moral and they must not in any way blaspheme. The subject of religion is hyper-sensitive at the time, but that did not stop William Shakespeare from writing Romeo and Juliet. Maritime exploration, John Smith inspired William Shakespeare and open his mind to the rest of the world. 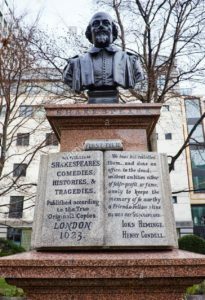 Diplomatic visits: By his privileged position with the Queen, William Shakespeare could meet diplomatic characters that the people did not have access to, such as the visit of Abd el-Ouaheb Messaoud who inspired William Shakespeare by creating the Moore of Venice. His talent and originality enough avangardist ensure him a celebrity during his lifetime. But how did he manage to cross the time? The answer is given by two characters: John Hemince and Henry Condell. Indeed, 7 years after the death of William Shakespeare, these two actors collected all the portfolios of Shakespeare in a collection in 1623. This collection contained 900 pages. 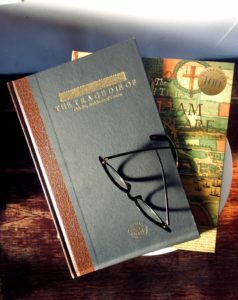 John and Henry took care to print it on quality paper to preserve the best of Shakespeare’s work. It is thanks to them that we know nowadays the works of Shakerpeare. Currently, there are only 235 copies left. Thank you for this artistic generosity! 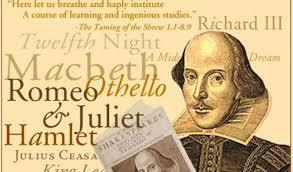 And much more to read or reread: See Shakespeare Works. Green Screen or chroma-key technology. Goes green! Older Post Green Screen or chroma-key technology. Goes green!